Clinic Synopsis: Composer Frank Ticheli will share personal thoughts and secrets about composing, selecting, and performing music for young musicians. Accompanied by the Baylor Wind Ensemble as his demonstration group, Dr. Ticheli will demonstrate how harmony, rhythm, texture, orchestration and form combine to enhance a work's meaning and merit. He will also share his thoughts on aspects of urgency and authenticity in music regardless of its difficulty level. 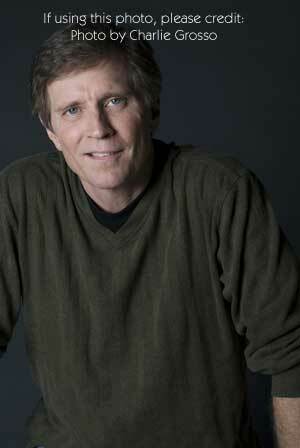 Clinician Biographical Information Frank Ticheli joined the faculty of the University of Southern California’s Thornton School of Music in 1991, where he is Professor of Composition. From 1991 to 1998, Ticheli was Composer in Residence of the Pacific Symphony. Ticheli’s orchestral works have received considerable recognition in the U.S. and Europe. Orchestral performances have come from the Philadelphia Orchestra, Atlanta Symphony, Detroit Symphony, Dallas Symphony, American Composers Orchestra, and others. Ticheli is well known for his works for concert band, many of which have become standards in the repertoire. In addition to composing, he has appeared as guest conductor of his music at Carnegie Hall, at many American universities and music festivals, and in cities throughout the world. Ticheli received his doctoral and masters degrees in composition from The University of Michigan.